The Adventures Of the Olson Clan: What's kid number two!? This past Wednesday , dec 12. 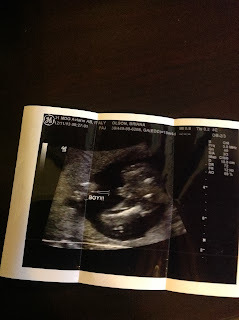 Josh and I had our anatomy scan. I was really nervous. Since we were heading out to az for a few weeks my doc wanted us to go before we left. 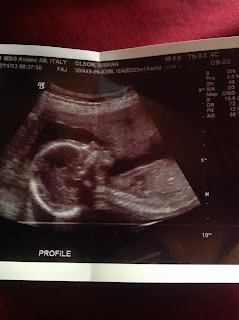 They always do the scans at 20 weeks, but I was 18.5. So obviously everything was clear in there. The tech looked and measured everything. It looked well and the baby has all it's parts. The baby was measuring exactly how far along I was. Due date is still may 10. But will be having the baby about a week earlier than that with a csection. 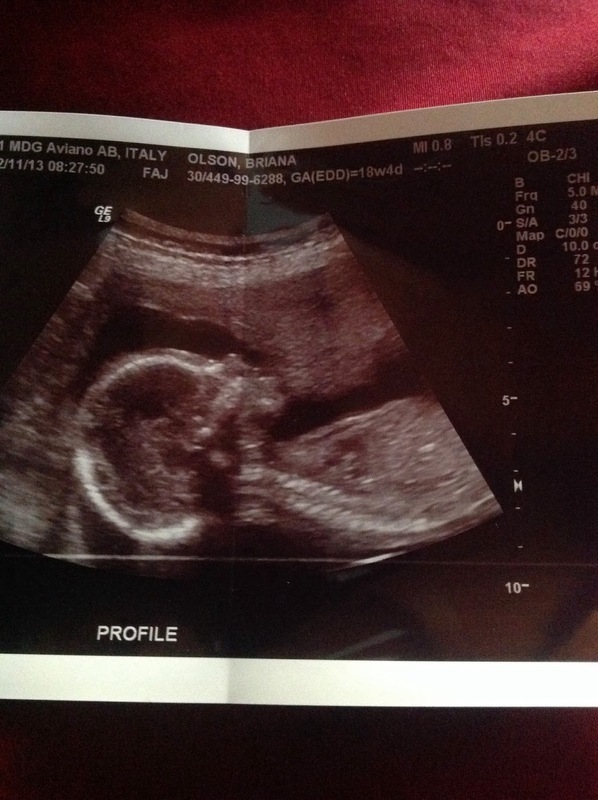 Baby is also breech right now and facing inwards. I googled breech babies and saw crazy pics of people birthing babies like that, no thanks. 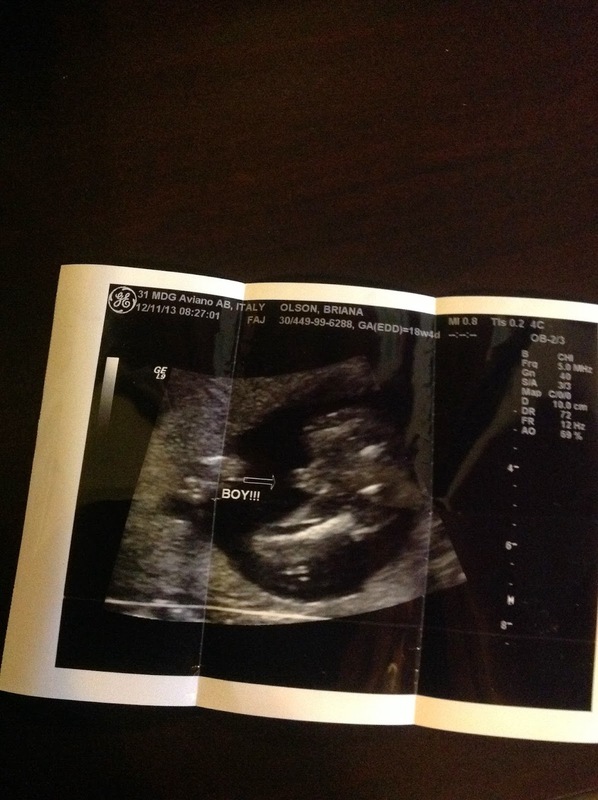 Annnnd we found out we are having a BOY! Originally Josh was just going to find out and tell me a creative way. But I saw his part during the scan. Lol. Yes, I was bummed at first, but Im human. Was thinking girl. Looking forward to buying some bows! ><>< But it will be nice for Ethan having a brother to play with. And Ethan turned out ok so far right? Now what's disappointing is we have zero names lol, and if you don't rem, Ethan was nameless up to two days after being born. Boy names are hard!